One of the biggest challenges that an HR teams faces when hiring new staff can be the disconnected sources of data. This frequently includes LinkedIn profiles, CV's, portfolios of work and actual job applications which then need to be matched to the selection criteria for each role. When recruiters don't have visibility of a complete candidate profile, time is spent either building up a picture from these various sources, or wasted by interviewing unsuitable individuals. Connecting directly to LinkedIn Recruiter, Dynamics 365 Talent provides a complete human resources profile that also connects Office 365 to make the entire hiring process more transparent and efficient. Using LinkedIn Recruiter, teams will define the criteria for a job role. This can include location, skills, spoken languages and job titles to find the perfect fit. 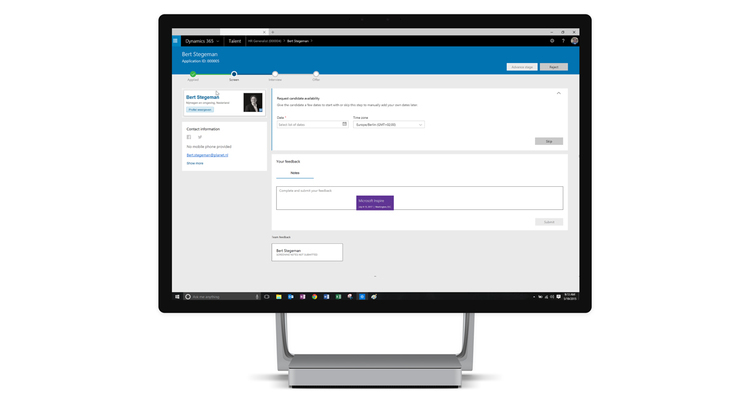 Within Dynamics 365 Talent, hiring managers can monitor the recruitment process thanks to LinkedIn integration. This details which individuals have applied for the role, and at what stage of the process they currently are. Each candidate's LinkedIn profile, including application details, is integrated and accessible directly from Dynamics 365. From Dynamics 365 Talent, interviews can be set-up to fit within the hiring team’s schedule by using Office 365 integration that checks availability for all members of the team and suggests suitable times. Calendar invites can be sent from Dynamics 365 to each party and these are tracked in addition to invitation responses. Interview feedback about candidates can be shared with everyone involved in the hiring decision within Dynamics 365 Talent to help identify which individual(s) will be made an offer. 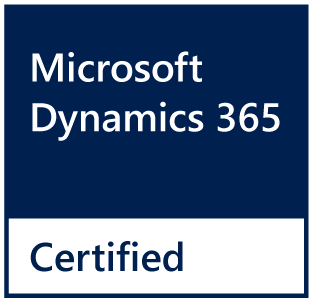 The latest Human Resources solution, and part of the Dynamics 365 family. Dynamics 365 for Talent is the most user friendly, intuitive and role based solution currently available. It offers a rich, browser-based user experience, with workspaces tailored for specific roles in your organisation. Dynamics 365 for Talent is fully integrated with other Dynamics 365 tools like Flow, Power BI, Operations and any more. For a fixed price FourVision HR plus International offers a complete implementation of Microsoft Dynamics 365 for Talent.